If you have a character that needs a voice, you've come to the right Voice Over girl! My voice is on lock n load and ready to do they bidding O'Master of the Games! Cute, threatening, sultry or demanding this voice is your go to female character voice over extravaganza. I will voice your character up to 200 words. Have 400 words? Order 2 or contact me and we'll work out a fair price. It's that easy! I provide high quality audio formats of your choice in wav an mp3. Commercial & Education use rights and I will sign NDA's. Have a longer project or special requirements and need help? No Problem! I'm a creative gal who's up for a challenge, available for long term projects and love to help my game developers out the most. Contact me today and we'll figure out an affordable custom price for you and get your character a voice STAT! 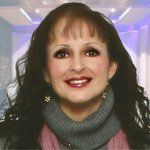 I have a creative, natural high energy and great range of styles and voices at your service. Mom / Hero / Announcer / Pixie / Pirate, Alien Computer and soo many more. Always up for others! Just ask! This can be for personal or commercial use and NDA's can be signed and returned for your project. Let's make your project a success. Contact me today! I can post a link to your app or game containing my voice over to my social networks. I will need your script, picture of the character to be voiced - if you have one, description of the character, mood, type of voice you require.